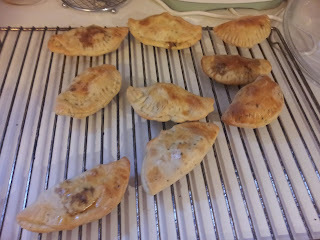 The Norwexican Life: Yummy Empanadas!!! 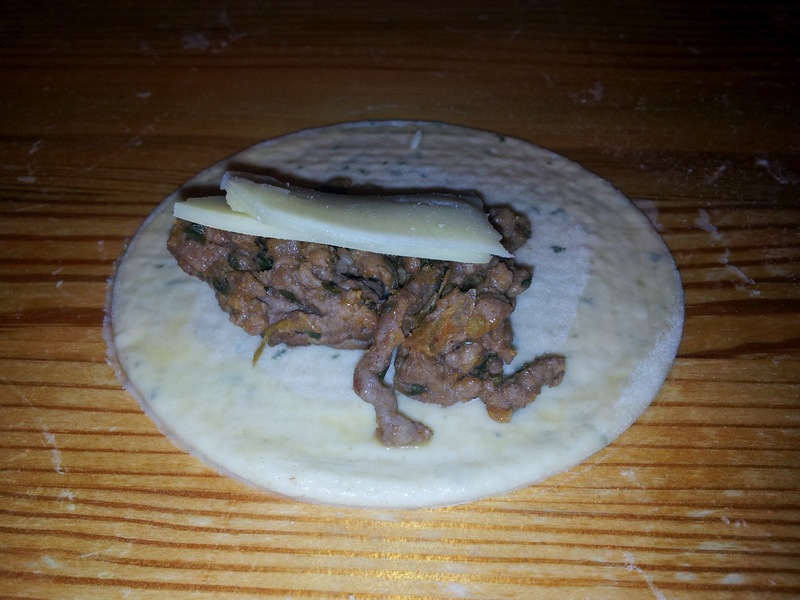 My sister in law asked me to help make some sort of finger food for her tapas party. I love making mini empanadas for parties. 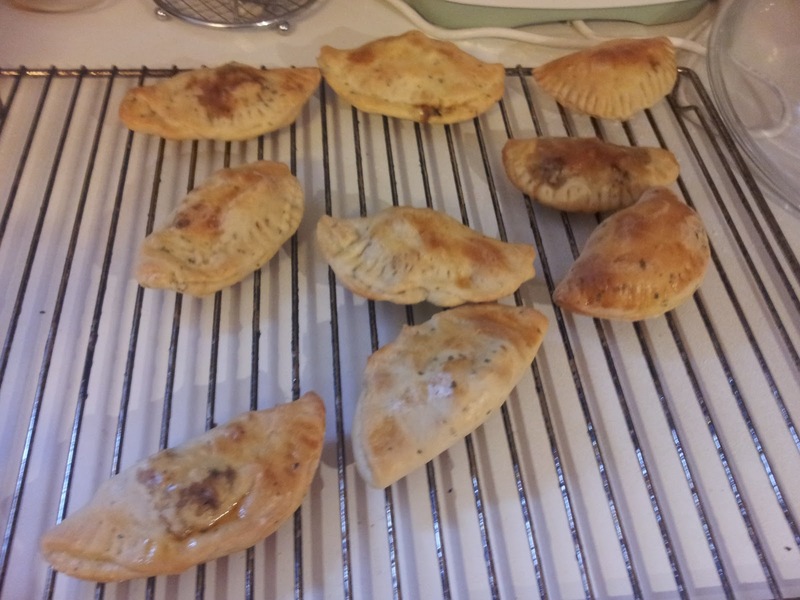 It requires time but they are fairly easy to make and they are always a hit! 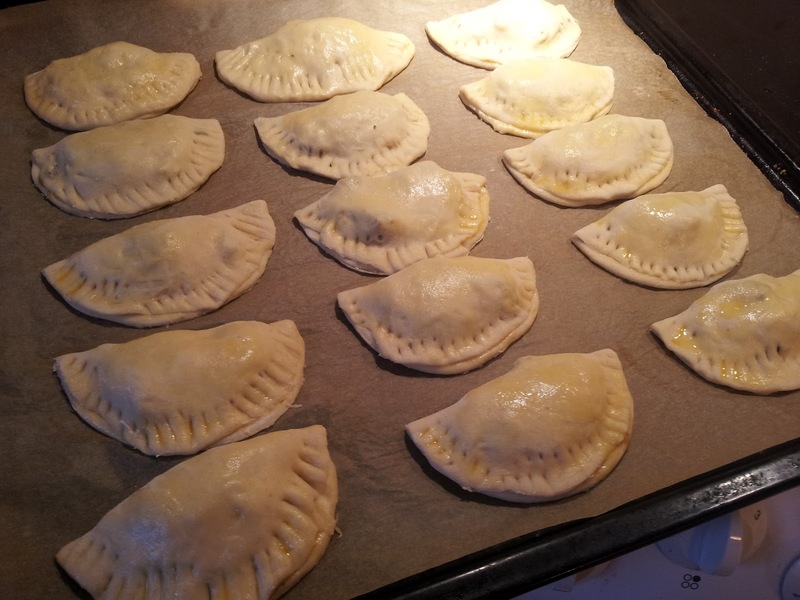 Plus you can make them days before hand, bag and freeze them and take them out and reheat for your big day. Hope you enjoy! In a bowl, beat the water, eggs, egg whites and vinegar together. Set aside. In a separate bowl, mix together the 6 cups of flour and salt. 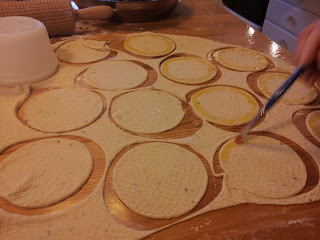 Cut the shortening into the flour mix with a pastry blender or two butter knives. Make a well in the center of the flour mix and pour the liquid ingredients from the first bowl into the center. Mix the wet and dry ingredients with a fork until it becomes stiff. Turn the dough out onto a lightly floured surface. Knead it just until all the flour is incorporated and the dough is smooth and not sticky. 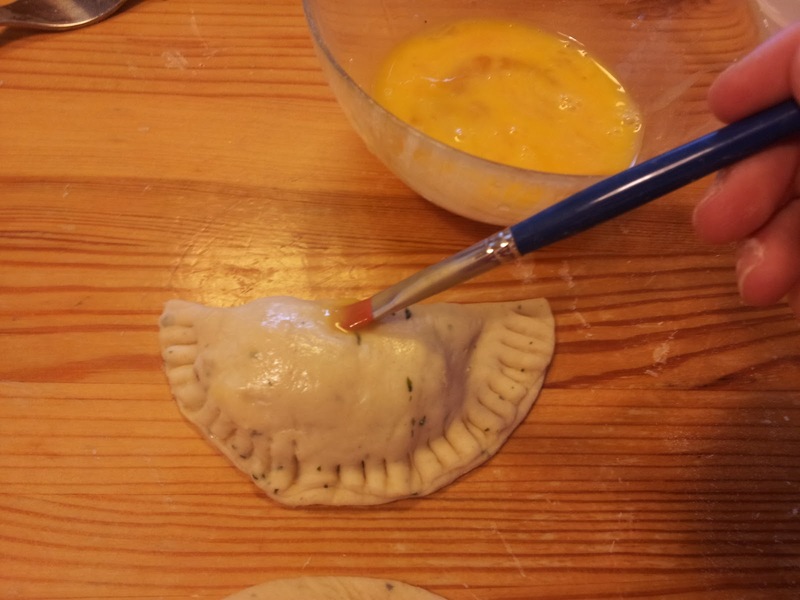 For the filling: Empanadas can be filled with all sorts of options. You can have chicken, potatoes, beans and cheese, beef. 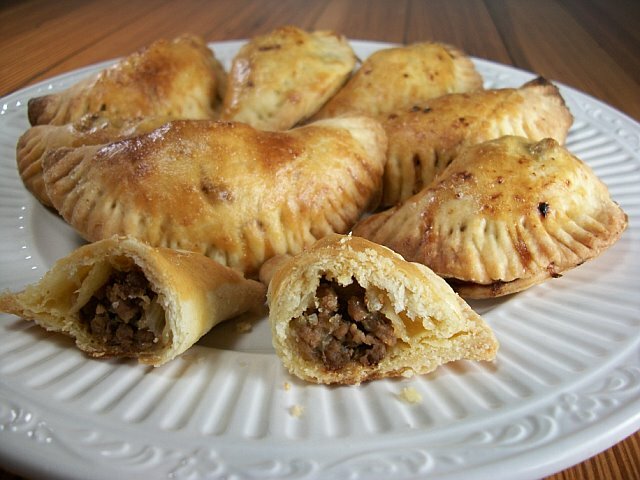 In this case I used minced meat. You can follow this one or fill them with your choice of filling. In oil, cook finely chopped onion and the 2 garlic cloves pressed through a garlic press. Add the meat and cook until done. Add salt, pepper, coriander, lime juice and green salsa. Slowly add maizena until the salsa is thick and not liquidy. Set aside. Roll out your dough. It should be fairly flat. 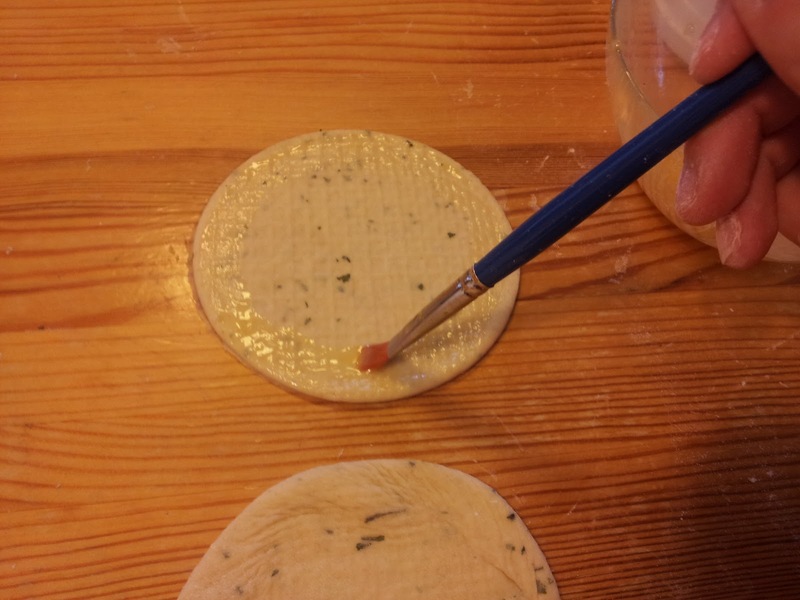 Make sure the surface you work on is floured to prevent the dough from sticking. Cut out circles using a large circular cookie cutter, cup or bowl. I used a tupperware bowl that was approx. 3in. in diameter. Try to keep it at that size. 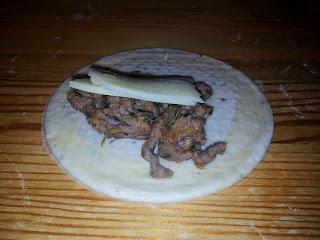 Add a spoonful of the meat with pieces of cheese. 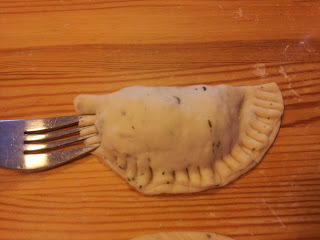 Fold over in half, and fork the sides together. Coat the tops of the empanadas with egg. Stick in the oven and cook for 15-20 minutes or until the tops are a nice gold-brown color. Once done, let them cool on a rack. You can serve by themselves, with a sour cream dip, or freeze in a bag for later.